THE HEAVENS—Saying He wanted to step back to concentrate on improving His command of the weather, God, Our Lord and Heavenly Father, announced Monday that He was planning to take a few millennia to focus on storms. 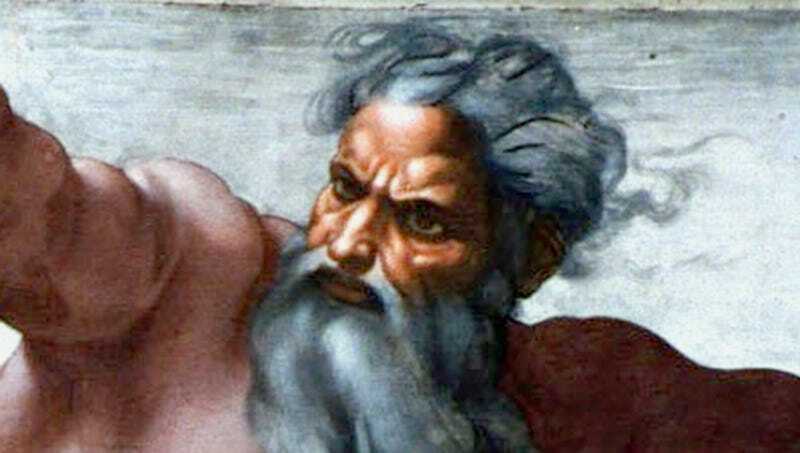 “I just want to set aside a little time and really dedicate myself to making the best storms I can,” said the Almighty, explaining that splitting His energies between sustaining time, smiting heretics, and regulating planetary orbits had drawn His attention away from creating the storms He knew He was capable of. “I honestly don’t think I’ve truly gotten everything I can out of thunder and lightning, and I’ve barely scratched the surface on stuff like hail and tornados. I know I’ll never do this if I don’t make it a priority, even if it’s only for 5,000 years or so.” At press time, God was eagerly working on mixing a typhoon with fire and reportedly could not wait to test it out.